HarperCollins Publishers. 2013. 487 pgs + bonus materials section. Other books I’ve read by Roth: none. Divergent is the first book of a young adult dystopian trilogy. The other books in the trilogy are Insurgent and Allegiant. Well, two things to say: one, I know I am the last person on earth to read this book and two, I loved it! That latter statement is not cool to say for a serious reader, I guess. So I guess I’m not a serious reader –and any way I don’t care. Some incredible war (or plague?) has happened and the survivors (at least in Chicago, USA!) have decided to reorganize society into groups that represent the characteristics that may help prevent a future war. The characteristics, or factions are: Erudite (intelligence), Dauntless (courage), Amity (peacefulness), Abnegation (selflessness), and Candor (honesty). After choosing, teens train intensely for initiation into their new faction. Some folks may not fit just precisely into one faction, and that is a problem. Some very unlucky folks are factionless — and this is quite a state to be feared. War and unrest are brewing…. 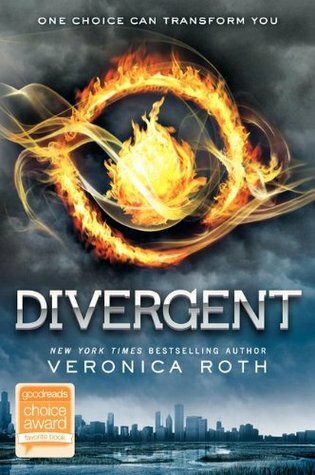 The novel follows Beatrice Prior, a girl from Abnegation whose choice of faction has dramatic ramifications for herself, her family, and several other key individuals. Not only must Beatrice square her choice of faction with the suspicion that her aptitude test results actually point towards a more troubling future choice — but she must prepare herself to take part in a greater world struggle that is lining up outside of her individual concerns. Along the way, Beatrice meets several other young people who are struggling with their faction choice, which includes a possibility of not being accepted by the faction if they do not pass initiation — a fear Beatrice also shares. So much has been written about why dystopias are popular. The attraction seems simple to me, especially for younger readers. With so many dysfunctions in our current, real world – global warming, terrorism — the possibility of the world we know devolving into some other hideous form seems quite plausible. Additionally, I think Divergent and the Hunger Games novels resonate as classic coming of age tales. Leaving your family behind, finding your identity, participating in a mighty struggle — aren’t those themes as primal as fairy tales and legends of the past? Roth has just added the wrecked Sears Tower and ghostly El trains to the mix. I also liked the love story in Divergent. Beatrice’ love-interest turns out to be a anti-hero with a tragic, dark past that only she understands. How classic is that theme — Mr. Rochester from Jane Eyre, anyone? Albeit with tattoos and a knack for jumping off moving El trains. I guess it is the presence of these simple, archaic themes that sparked the criticism of Roth’s massive commercial success with Divergent. Yes, and some of the characters are, to put it mildly, thinly drawn. Having admitted this, I still would recommend this read. It moved along briskly, it compelled and it presented a female hero I learned to care about. For this non-serious reader the judgment’s on the book shelf: I just bought the second book. 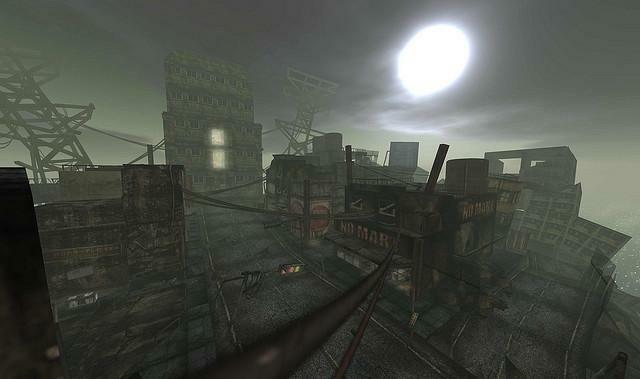 Dystopian City Falling into Ruins. Photo Credit: Torley Linden, Creative Commons License.